India's breakfast cereal market has been growing with a CAGR of13 per cent from 1168 mn to 1450 mn over the last five years. The breakfast menu is coming up in a big way. 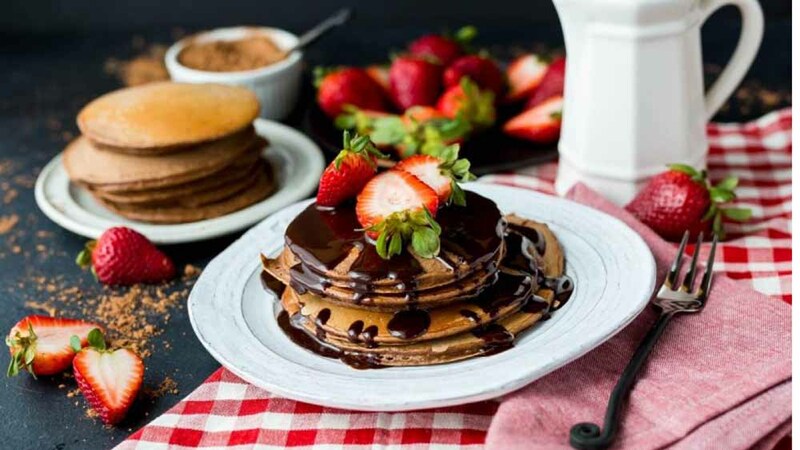 Be it waffles or pancakes, people are indulging in such dishes and are satiating their sweet tooth not only during breakfast, but all around the day. With this change in the consumers’ attitude, restaurants nowadays are not only offering breakfast menu throughout the day, but also bringing in innovations almost every alternate day. Be it waffle sticks, waffle sandwiches or variations in the domain of pancakes, they have all managed to hitch the customers with their tantalizing taste. In spite of being considered to be the most important meal of the day, breakfast scenes are always looked down upon for various reasons. With such a beautiful concept, restaurants with specific breakfast menu should bend in more strategies to make the business work. “What restaurants needed to do to tap the breakfast-eaters segment was thought beyond omelet’s,” Wahid added. With the ongoing trend, Breakfast has become very much a grab-and-go meal concept due to unavailability of time amongst people. People tend to eat in the car or at their desk at work. Yes, that’s how it has evolved since. Breakfast sandwiches and burritos are favorites with the commuting crowd, about two-thirds of restaurant morning meals are eaten off-premises and disappointingly, is not considered that important a meal. Global QSR chain McDonald’s has already made headlines for spreading and investing into its breakfast segment. From serving the best easy-to-grab meals to focusing on healthy breakfast menu, McDonald’s is the business in this line for their strategies serve the purpose of offering food at a quick pace. With consumers typically rushed at breakfast time, quick service accounts for 79 percent of total restaurant morning meals, according to NPD. Even at restaurants, guests expect a quick pace at breakfast. Ideally, guests have the notion that they won’t have to wait around long for their food. An emphasis on prep work and batch work helps the scratch kitchen keep up with the crowds. One way to improve your breakfast business is to serve a better variety of coffees, including options such as lattes or espressos. Popular Coffee Chains like Café Coffee Day & Starbucks has been getting it right since their inception. The morning meal is very much a beverage-driven occasion. High-margin beverages can boost your bottom line. Breakfast offers huge potential for repeat business because many people get entrenched in morning routines. We have some customers who literally come in every day. Repeat customers expect your restaurant’s eggs, pancakes, and hash browns to be prepared a certain way. Train staff to follow consistent recipes and cooking procedures, and you’ll have guests coming back every morning. Serve breakfast all day, if logistically feasible. That’s the need of the hour if asked. Nearly 72 percent of all adults wish restaurants would offer breakfast items throughout the day, according to the NRA Forecast. People nowadays are bidding adieu to traditional Indian cuisine and making ways for all-day breakfast specialties, including eggs Benedict, waffles, pancakes and other restaurant’s signature dishes. An age-old favourite amongst Dilliwallas the All American Diner continues to be frequented for its breakfast menu. The signature breakfast dishes laden with stacks of pancakes, eggs, sausages, baked beans, grilled tomatoes and fresh breads hit the sweet spot every time. Even during dinner, about half the guests opt for breakfast items instead of the traditional laid out evening cuisine.